SunClean makes recycling easy with a revolutionary system designed for the collection of glass, aluminum, paper, and plastic, metal cans. With our SunClean Chute Fed Recycling System with NuReTec Technology, recycling and sorting is convenient and cost-effective. Strict recycling mandates are inevitable. Installation now would not only save you money but would help begin the recycling revolution. The SunClean Chute Fed Recycling System with NuReTec Technology is specifically engineered for effective implementation by mid/high-rise recyclables with a revolutionary system designed for the collection of glass, aluminum, paper, plastic, metal cans, etc. Adapts to existing trash chutes. Allows for continued use of existing rubbish compactor. Allows for the addition of more material types. Able to use standard recycling containers. 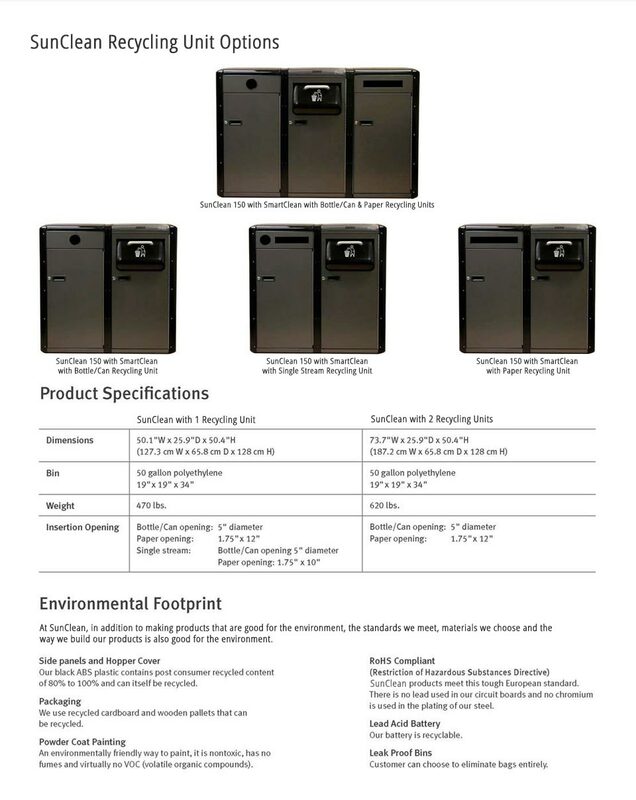 Able to use recycling containers ranging from 95 gallon carts up to 2 yard containers. 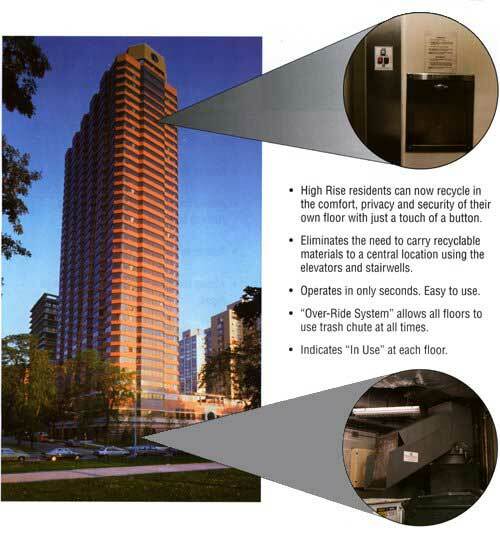 Recycling chute able to deposit to the right, left, or rear depending on space availability and room layout.